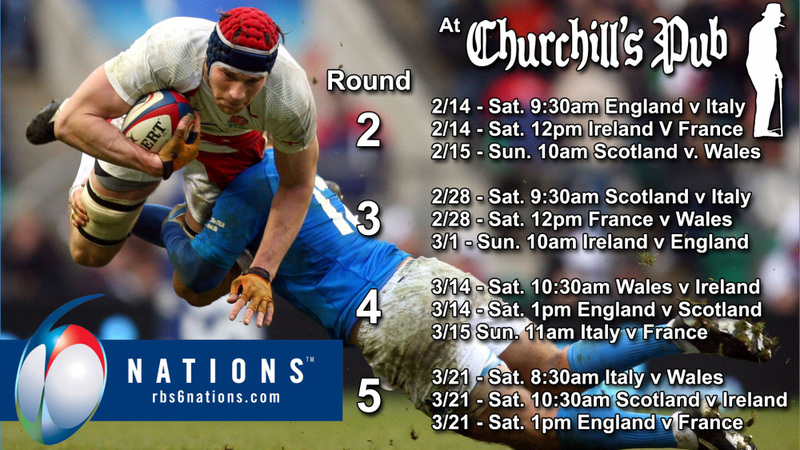 Churchill's Pub will be open early every weekend for the 6 nations rugby games! 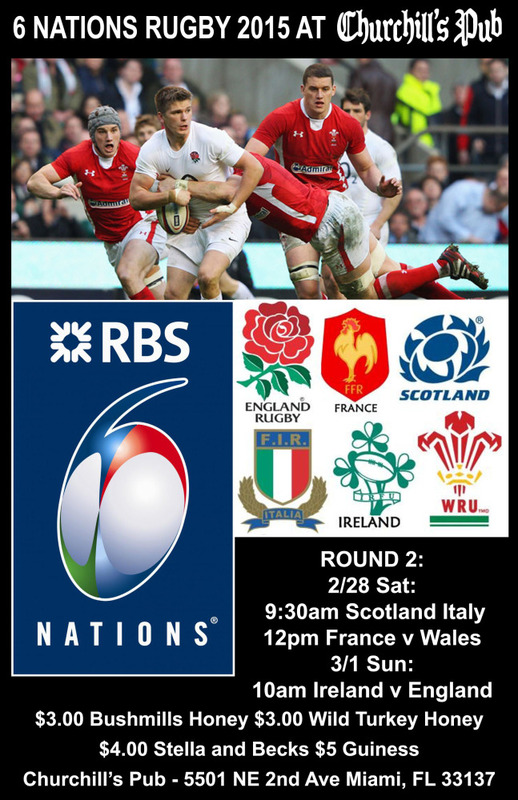 Catch all the action live on our super large projection movie screen and amplified sound system. Enjoy 3 dollar Bushmills Honey, 3 dollar Wild Turkey American Honey, 4 dollar Stella, 4 dollar Becks, and 5 dollar Guinness during the games. 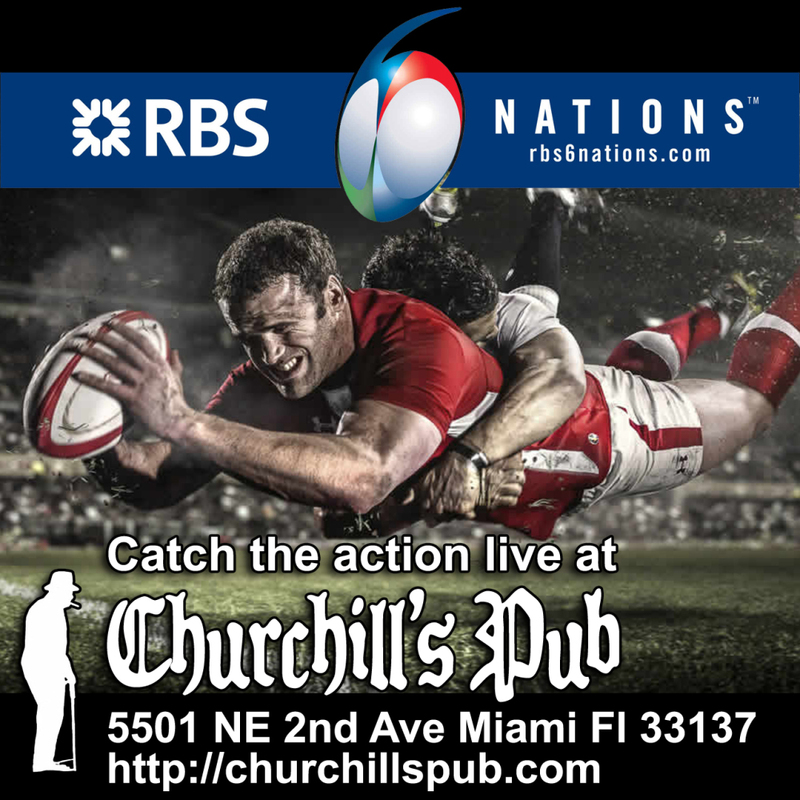 Churchill's Pub is your Rugby headquarters!